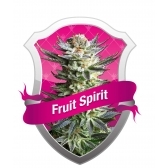 Fruit Spirit is the current result of the never-ending quest for new flavours that send your taste buds dancing with every hit of the joint/bong. This marijuana strain is one of the sweetest skunks we have come across in our time. 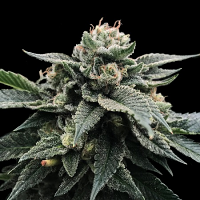 For the connoisseur smokers who are looking for a new flavour that will never get boring we are proud to present Fruit Spirit Feminized from Royal Queen Seeds. Although it is a Sativa ﻿﻿dominant cannabis plant, Fruit Spirit will not grow over 1 m tall indoors. Outside, it needs a lot of sun like in Italy or Greece and can even handle more tropical locations like Jamaica or Brazil. 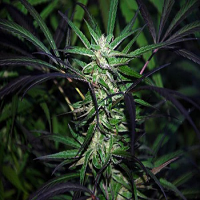 Outdoors, this Marijuana strain will stretch to 2 m tall and is not suited to colder climates like France and UK. 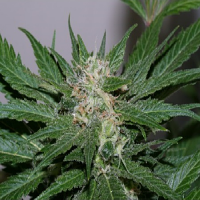 Fruit Spirit Feminized will yield on average 30-40 g per plant, or about 400 g per square metre under a 600W light. It doesn't stretch much during flowering , so fans of big main colas will be very pleased with the growth of Fruit Spirit. Consisting of tight, frosty buds, it carries an aroma that will have you itching to harvest. 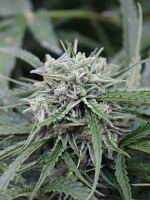 This cannabis strain will require an 8 week flowering period, which is relatively short for a sativa dominant plant. Extra care and consideration should be taken to maximise the flavour of Fruit Spirit after harvesting. As always, our recommendation is to dry your plant for 7 days prior to trimming/clipping. Performing a dry trim will help to maintain this special flavour, which can be easily lost during the drying period.